Speidel’s Twist-O-Flex stretches up to 5 inches, making it easy to get on and off. The Speidel brand holds an iconic place in America’s wristwatch history. Dating back to 1867, Speidel gained fame in 1959 with the introduction of the Twist-O-Flex steel bracelet. The clever, durable design became one of the most popular and instantly recognizable watch bands of the last century. The company invested heavily in advertising. (Here’s a cheesy TV spot from the mid-’70s and an earlier one featuring a creepy turn by actor Peter Lorre. 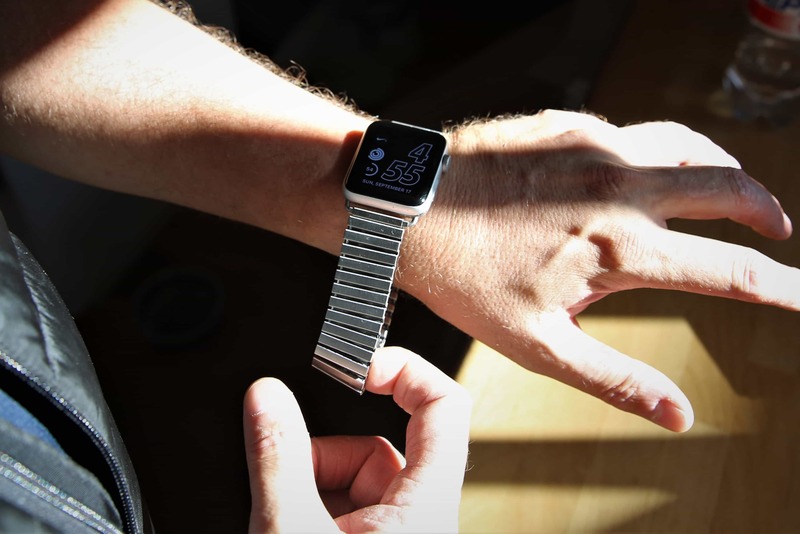 Popularly known as the “tank track,” for obvious reasons, the Twist-O-Flex resembles Apple’s Link Bracelet, but is claspless. Instead, the links themselves flex. The band’s mechanism resembles automobile leaf springs. The individual links stretch like springs, but naturally return to their original state. The result is a strong, durable, sweat- and water-resistant band that stretches up to 5 inches from its original size. 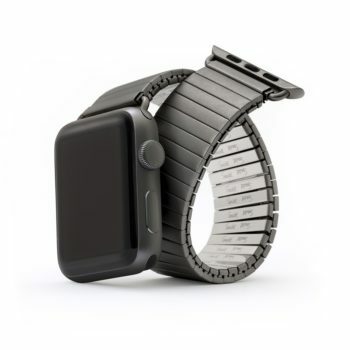 Speidel’s classic Twist-O-Flex bracelet is now available in Satin Black for Apple Watch. I like Twist-O-Flex best for its comfort. It feels good, is easy to get on and off, and it doesn’t yank out the hairs on my arm. It’s also a lot cheaper than Apple’s band. The Twist-O-Flex starts at $50 instead of Apple’s $450. 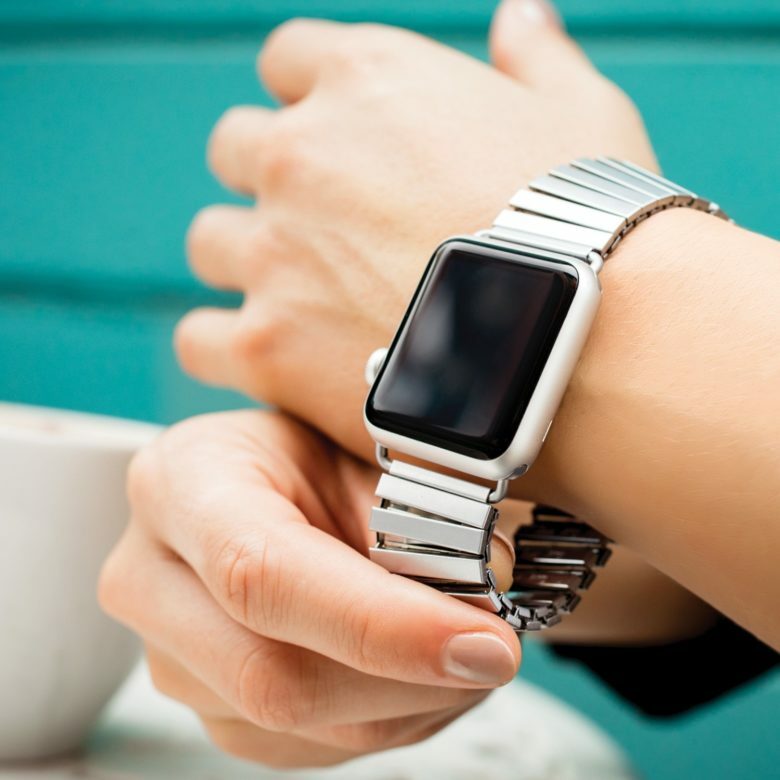 Made of stainless steel, the Twist-O-Flex comes in three finishes: brushed, silver and black, which matches the space gray Apple Watch. 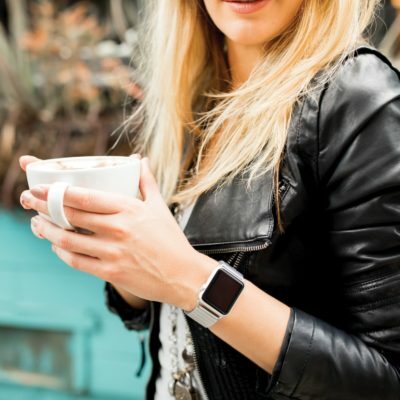 The bands come in three sizes (small/medium, medium/large and large/extra-large) and fit both the 38mm and 42mm Apple Watch. They are compatible with Series 1, Series 2 and Series 3. We’re delighted to reintroduce this modern take on a classic favorite in our Watch Store. Or you can order the bands directly using the widgets below (42mm bands only. For 38mm, please visit the store). One thing to note: The Twist-O-Flex links can be fiddly to remove. Be sure to measure your wrist and choose the size that fits best. If you’d like to shorten the band, here are instructions for link removal (.pdf). Speidel provided Cult of Mac with a review unit for this article. See Cult of Mac’s reviews policy; and check out more stuff we recommend in our Best List reviews.